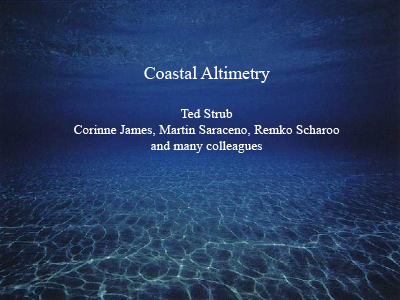 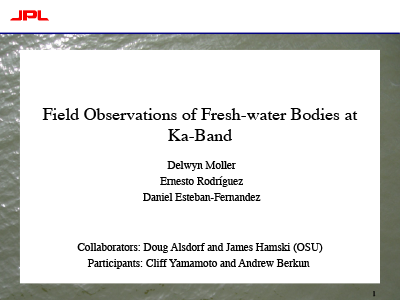 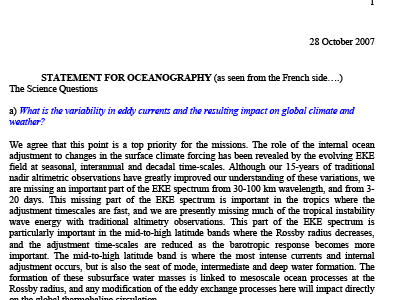 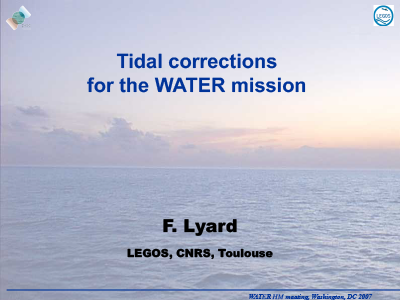 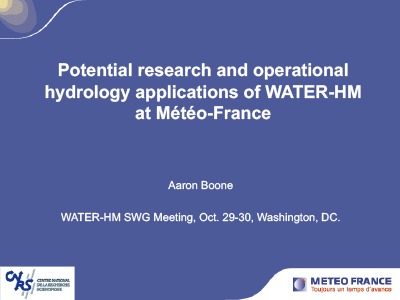 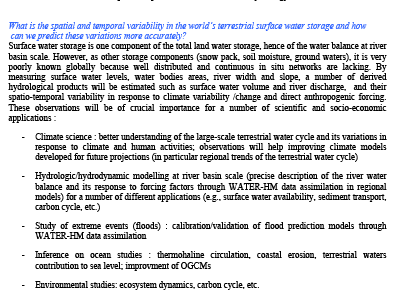 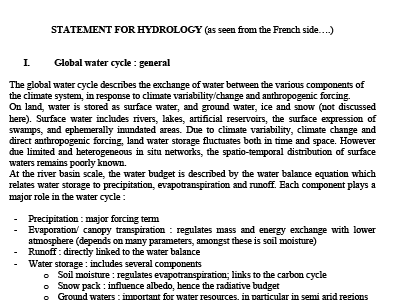 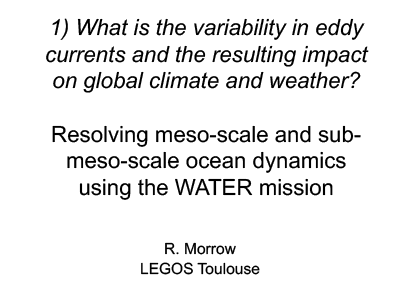 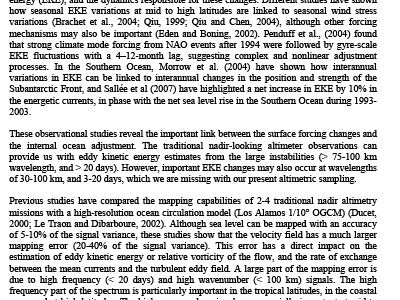 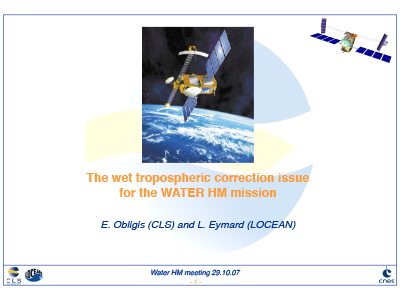 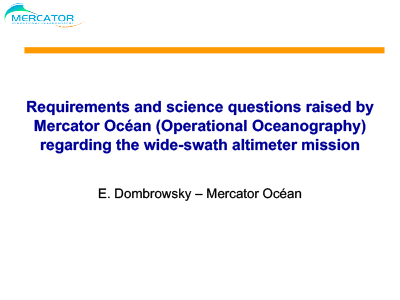 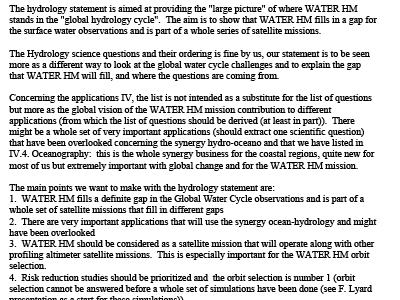 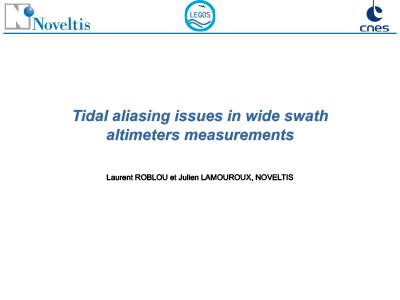 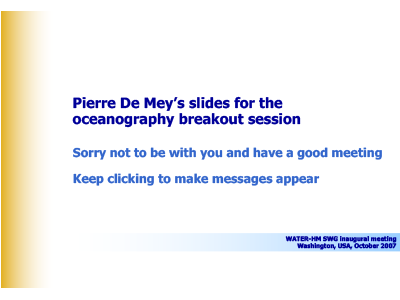 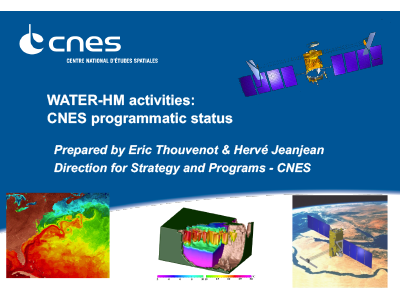 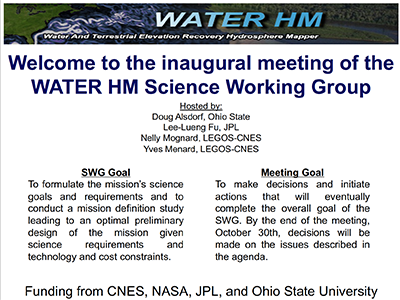 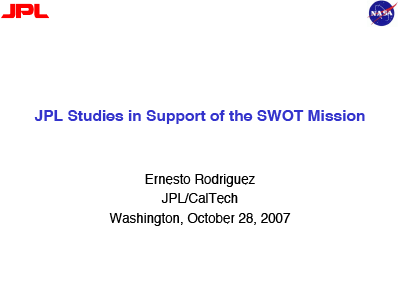 The Science Working Group (SWG) of the WATER HM mission met October 19 and 30, 2007 in Washington, DC and included 24 participants. 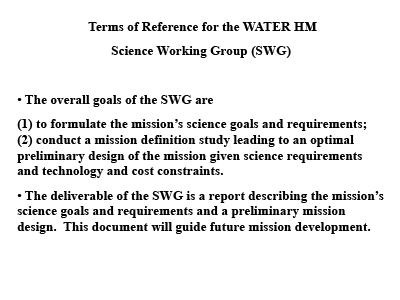 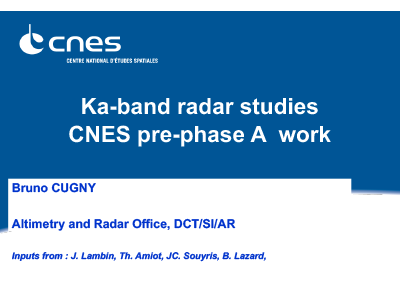 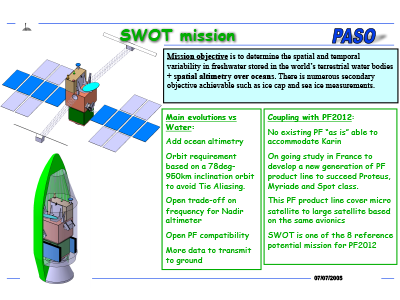 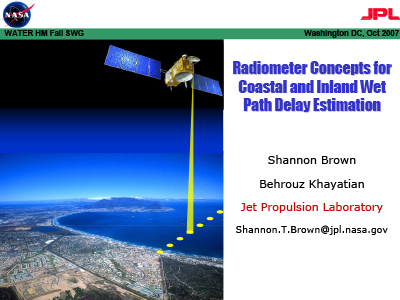 The meeting was held to make decisions and initiate actions toward meeting the following SWG goals: Formulate the mission's science objectives and requirements; and Conduct a preliminary mission design study given science requirements, technology, and cost constraints. 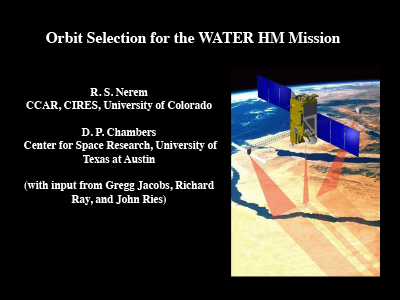 Day 1 presentations focused on science drivers along with linkages to mission design and technology. 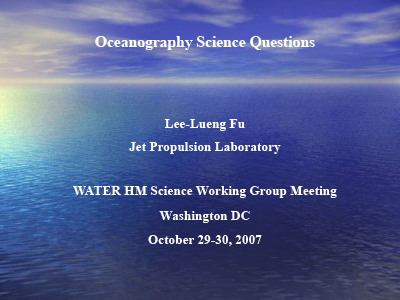 Day 2 discussions centered on identifying team leaders and action items related to funding, communication, and science community development. 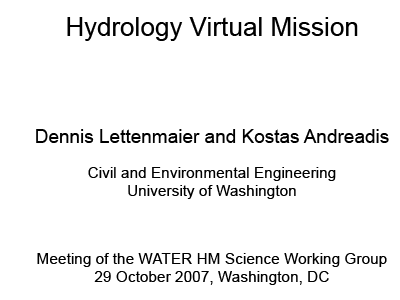 [29-Oct-07] Strub, T., James, C., Saraceno, M., and Scharoo, R.
[30-Oct-07] Moller, D., Rodriguez, E., and Esteban-Fernandez, D.
[29-Oct-07] Lettenmaier, D. and Andreadis, K.
[29-Oct-07] Nerem, S. and Chambers, D.
[29-Oct-07] Brown, S. and Khayatian, B. 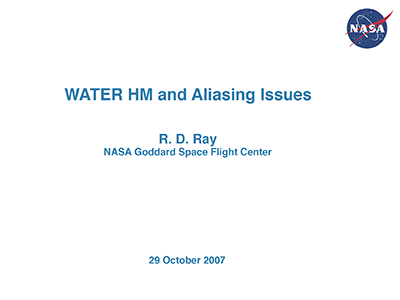 [29-Oct-07] Alsdorf, D., Fu, L-L., Mongard, N., and Morrow, R.
[29-Oct-07] Obligis, E. and Eymard, L.
[29-Oct-07] Roblou, L. and Lamouroux, J. 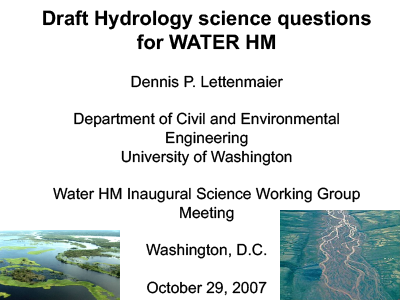 [29-Oct-07] Lindstrom, E., Thouvenot, E., Jeanjean, H., Entin, J., and Freilich, M.